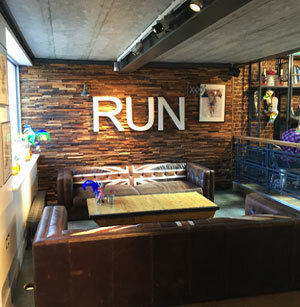 A trio of coffee shops from different venues, Juliet’s in Tunbridge Wells, Cafe 1809 in Hildenborough and Otto’s in Sevenoaks, worth seeking out if you don’t already know them. 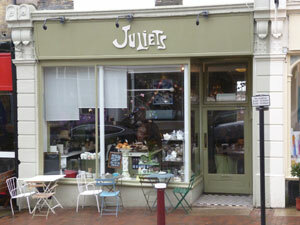 Juliet’s on the High Street in Tunbridge Wells has become a firm favourite with pretty much everyone who knows it. 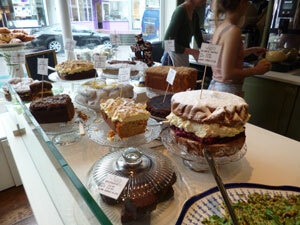 Their display of cakes is as awe-inspiring and as their resident baker allegedly states, ‘go big or go home’. But it’s not all coffee and cakes, the emphasis is on healthy, locally sourced food which definitely hits the virtuous spot (making you more likely to be tempted by the cake). The vibe is an eclectic mix of tables and chairs as well as crockery. They have a great tea pot collection, their green smoothie tastes delicious and I can recommend their scrambled eggs on Bodiam Brown bread (if you love malted bread then buy this at the Farm Shop in Eridge at the weekends). Soups and casseroles in the winter months but have a look at the menu below, great options and lots of choice. 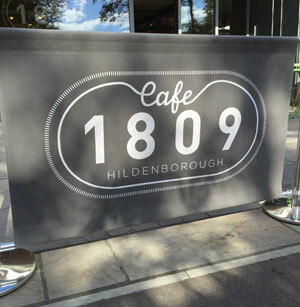 Cafe 1809 is a very clever idea by Dame Kelly Holmes. Hildenborough is a ‘strip’ village with a great station and wonderfully helpful chemist amongst other things. Back in the seventies the site of Cafe 1809 was the local papershop and many a Shirley Bassey record and walnut whip was bought there as a Saturday treat. A major facelift and some clever design and thirty odd years later it’s all looking a little different. Parking isn’t easy but that doesn’t deter anyone from going, it’s a major cyclist attraction too with parking out the back for bikes. Inside is big and airy. There’s a screen that shows sporting events appropriately, I recently sat and had lunch whilst watching some of the paralympics. I’m sure athletics gets pretty good airtime, but it’s not intrusive and only on when there are major events. The menu is really good, also with the basis on healthy eating. There are also ‘little tipples’ including our favourite Chapel Down wines. Support of local suppliers is impressive. 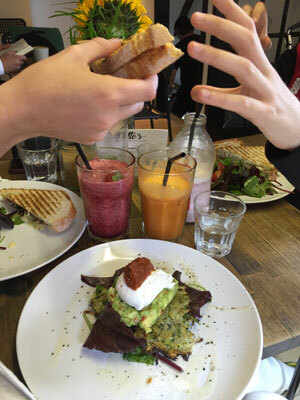 You can view salads and other offerings at the counter, the staff are really helpful and cheery and there is a relaxed feeling that reflects the design of the cafe. Dame Kelly can often be seen in situ, checking menus and making sure everything is running well, a sign that she really means business. Otto’s is a new venture in Sevenoaks. Perilously perched on one of the tight corners between Sevenoaks School and Waitrose (park there, trot down to Otto’s and then shop on your way back), this is a much smaller affair in terms of square footage. Upstairs and downstairs, service has to be quite adept. Otto’s offers a very small selection of food options, again, healthy options alongside pancakes and home made cakes. 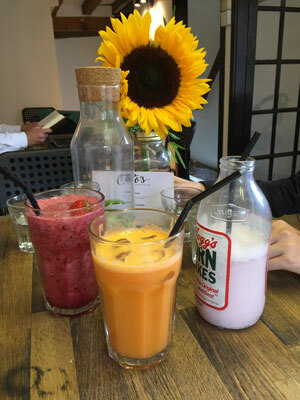 Excellent coffee, milkshakes and smoothies with a friendly feel and good service. We’re likely to see further ventures from the Otto’s boys and I wish them luck. Have already checked out two out of three of these great recommendations….things looking brighter and brighter around these areas ..looking forward to visiting the third with you soon? !